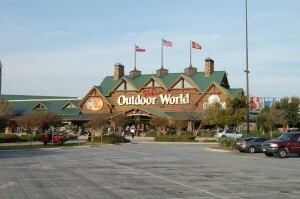 This is the nearest Bass Pro Shop Outdoor World. It’s in Grapevine, Texas. They do retail right! I speak as a retail expert, not an outdoorsman. I have spent enough time inside Outdoor World to be impressed and to understand the lure (pun intended). We’ve all got our own temptations. Things that draw us in and captivate us…sometimes for hours on end. Distraction and focus are two very popular topics because they’re so universal. They’re also at the heart of this Outdoor World story.